Considered the single most effective method for quickly and permanently removing freckles, IPL freckle removal uses intense pulses of light to address pigmentation issues. Whether looking to target a specific age spot or simply even out your skin tone, IPL freckle removal has the potential to produce remarkable results in minutes. Depending on the nature and severity of the issue, IPL freckle removal usually takes between 30 and 90 minutes to complete. In some instances, a marked improvement can be seen after the first session and no additional treatments are required. However, it may be necessary to organise multiple sessions to address more problematic pigmentation issues. IPL freckle removal effectively and permanently removes freckles safely and with minimal risk of side effects. 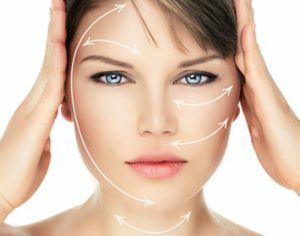 For more information or to discuss your requirements in more details, contact a member of the team at HSA Dermal Clinic today. HSA Dermal Clinic is proud to offer the most advanced IPL freckle treatment in London from our cutting-edge clinic inRichmond upon Thames. IPL freckle treatmentis widely considered the most effective and safe approach to the permanent removal of freckles, creating impressive evenness of the skin in a matter of minutes. Intense pulses of light are used to break down the excess melanin in areas of the skin that present excessive pigmentation. When freckles are removed through IPL freckle treatment, they’re of removed permanently. IPL freckle treatment can be used to remove single spots, multiple freckles or unevenness across even the largest areas of the skin. The technique is considered safe enough to use on any part of the body, typically delivering impressive results within a couple of weeks. Multiple treatments may be needed to address more problematic pigmentation, though it’s not uncommon to notice an incredible difference after a single application. Get in touch with HSA Dermal Clinic today to discuss IPL freckle treatment in more detail. M22 IPL technology has become the industry standard among the most advanced and capable clinics worldwide. Utilising cutting edge intense light pulse technology, M22 IPL is able to quickly, effectively and in some cases permanently address a variety of common skin conditions. We use M22 IPL technology to address pigmentation issues, such as the removal of freckles and the general improvement of skin tone. With no surgery or downtime involved, M22 IPL technology targets areas of excessive pigmentation directly, triggering a chemical reaction that gradually eliminates the excess melanin. In many cases, M22 IPL technology is so effective than just a single session is necessary to bring about a radical transformation in the skin’s evenness and general appearance. If you’d like to learn more about M22 IPL technology or discuss any of our treatments, we’d be delighted to provide you with an obligation-free consultation. Contact a member of our customer support team today for more information.